Fathom Ceasing Operations: Is This a Setback for Voluntourism? The Carnival Corporation announced late Wednesday that their Fathom cruise line brand will cease operations by summer 2017. The line's sole ship, the Adonia, a former P&O Cruises ship, will be returned to its former owner in the U.K. by next summer. The concept itself will live on through branded shore excursions across the Carnival Corp. fleet, as the company announced earlier this month. AIDA Cruises, Carnival Cruise Line, Costa Cruises, Holland America Line, Princess Cruises and P&O Cruises (UK) will all do volunteer-based excursions under the Fathom flag. 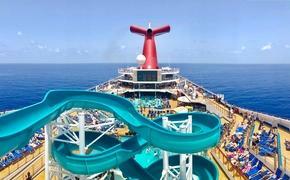 And yes, Carnival is hoping to still have a ship sailing to Cuba, as officials said Wednesday. There is no approval yet, but this Thanksgiving Eve surprise would have never been announced if a Cuba alternative wasn't all but a lock. It's likely just a matter of making a big-splash announcement. The timing may have been a shock, but travel industry insiders expected this announcement was coming. From the moment it was founded on June 4, 2015, many questioned the feasibility of running a cruise to Cuba and the Dominican Republic largely based around the concept of voluntourism. The initial buzz lit a fire under a movement, as Fathom became the poster child for a new phenomenon. It was perfect fodder for media types that are always looking for a new trend to cover. But the early sailings had many shortcomings and reviews were mixed at best, as many applauded the approach and the investment by Carnival and were willing to forgive the lack of polish with the maiden voyages. Beyond the initial publicity blitz, when we actually looked at bookings and tried to forecast signs of continued interest, the numbers were not flattering. We saw deep discounts on the Dominican cruises specifically, with the cruise line eventually switching those itineraries to Cuba, where the interest was deep. We began to hear rumblings. Travel agents wondering who this cruise was marketed to. Millennials were not swarming to it and that was truly the only market anyone could peg that truly wanted a no-frills cruise and a work vacation, no matter how humanitarian the cause. Gen Xers who have discovered cruising are all about the frills. Baby boomers who love cruising are looking for more and more luxury touches, which made river cruising appealing to the demo. This morning, I received a few emails from some of my travel contacts known to love a good conspiracy theory. Here was the take: Carnival Corp. did all this voluntourism stuff just to get that "in" in Cuba. An elaborate rouse that was never meant to last. That's lunacy. Carnival officials have resisted discussing total investment in Fathom, but we're talking about millions of dollars here. This was not done as a bait and switch. You don't bring in the talent they had to not have a real interest in growing this part of the business. The truth is likely much closer to this: Carnival saw an opening in the market and was hoping to grow a whole new segment of the industry, to introduce a younger demo to cruising by creating a product that matched their interests and their growing charitable core. 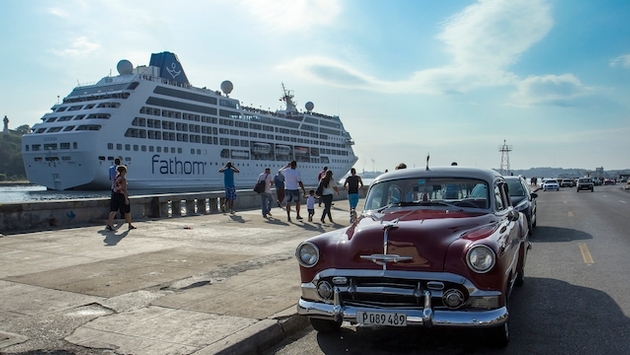 It was a calculated gamble that provided an entry into Cuba at the very least and, at best, could make them the industry leader in evolving cruising with a cause and open up massive new revenue streams at the same time. It's a shame to see Adonia go away but you can't blame Arnold Donald and the powers-that-be for paying attention to the bottom line. And yes, voluntourism lost one of its grandest forefathers here. Rather than mourning the loss here, I would much rather celebrate the effort made and the goodwill spread through Carnival's efforts. This won't kill voluntourism. If anything, it's a case study. No matter the level of good intentions, there has to be a path to profit to sustain a business. Cruise lines are not non-profits. But they are citizens and stewards of the world. Carnival Corp. has made great strides in making their vessels environmentally responsible. And this was a grand experiment in humanitarianism that simply did not pay off. Smart businessmen know when to cut bait on losing propositions. Fathom, sadly, was not catching on as a phenomenon. By ceasing operations now before the losses became too extreme, the idea and the concept can at least live on and be celebrated for its innovation and not laughed at for its failings.